Between wild price volatility, the fear of Bitcoin-stealing malware, the risk of having assets left on an exchange that could become a target of hackers, and so much more, crypto investors are stuck looking over their shoulder at every turn. Cyber criminals are pulling out all the stops, doing everything from creating fake websites, to hacking Twitter accounts of or impersonating public figures, in order to separate an investor from their crypto assets. Last year, cryptojacking cases spiked, and social media platforms were rife with cryptocurrency giveaway scams. 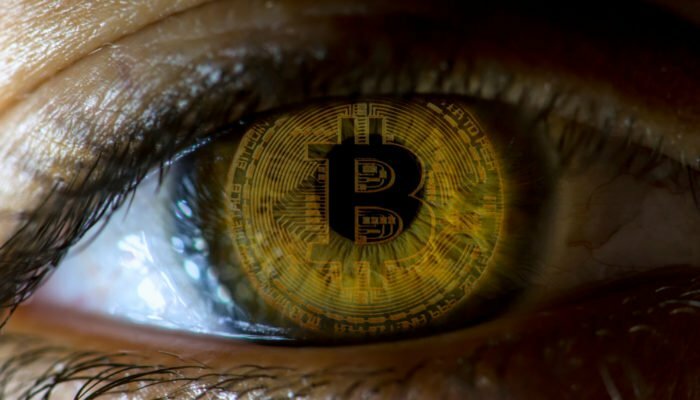 Now, cyber criminals are increasingly turning to crypto ransom schemes, demanding a sum of Bitcoin or other cryptocurrency, or else the cyber criminals will follow through with a serious threat. Within the last month alone, there have been widespread cases of Bitcoin ransom letters terrorizing the United States and Canada, a $10 million ransom in Monero in exchange for the safe return of a Norwegian millionaire’s wife, and in this latest example, a nearly $1 million ransom in Bitcoin was paid, yet the American individual at the center of a kidnapping case wasn’t returned safely as the criminals promised. The owner of online gambling site 5Dimes, William Sean Creighton Kopko, has been missing since September 24th, according to authorities in Spain. The American businessman was visiting Costa Rica, when he vanished suddenly without a trace. Criminals contacted Kopko’s family demanding a $950,800 ransom be paid in Bitcoin. Kopko’s family paid the ransom, and as many as 12 individuals have been arrested due to their alleged involvement in the case, yet Kopko has still yet to be returned safely. Cyber criminals have stopped all communication with the family after the ransom was paid, leaving the family and investigators with little to go on. A similar case involving the wife of one of Norway’s wealthiest men was demanding $10 million in the privacy-centric crypto Monero for her safe return, however, authorities instructed the man not to pay the ransom, and instead were asking the public for information to help their investigation. Before the close of 2018, the entire United States was up in arms over widespread Bitcoin-related bomb threats that were sweeping the nation. The FBI and NYPD both claimed the ransom-related threats were a hoax, however, it left many people in fear, and caused the closure of several businesses and government buildings. Often, people say to themselves “it won’t happen to me,” but in the case of Bitcoin ransom-related threats, this very reporter received one just last week. Upon awaking my MacBook from its slumber, I was greeted by an email entitled “You have been hacked.” The cyber criminal claimed they had been watching me for “several months,” infecting my computer with “malicious software through an adult site” that the hacker claims I visited. “The Trojan virus gives me complete access and control over a computer or other device. That means I can see everything on the screen and turn on the camera and microphone, but you’re not aware of this. Thus, I also got access to all your contacts,” the threat read. The hacker had claimed they had taken control over my MacBook’s web cam, and had used it to make recordings the hacker was threatening to later send to my contacts unless I paid an $800 Bitcoin ransom. Initially, my stomach sank, fearing the worst. What did they have on me? After my initial gut reaction, I recalled a number of examples of Bitcoin-related ransom case I’d covered extensively as a reporter, and I quickly found comfort that the threat was empty, and little more than a hoax. Knowing I had capable malware-blocking software installed further provided ease of mind.. Then I became intrigued, even entertained by the letter. The instance reminded me of a recent email being sent to residents of Paradise Vally, Arizona, that involved an email threatening to expose an affair if a sum of Bitcoin wasn’t promptly paid. Authorities also chalked this example up to being a hoax, but not before it gave unfaithful, married residents a real scare. Having personally reported on more than a handful of cases in as many months, and having been victimized by a Bitcoin ransom email myself, it’s becoming evident that cyber criminals are finding success with this strategy, and a clear trend is rapidly forming.